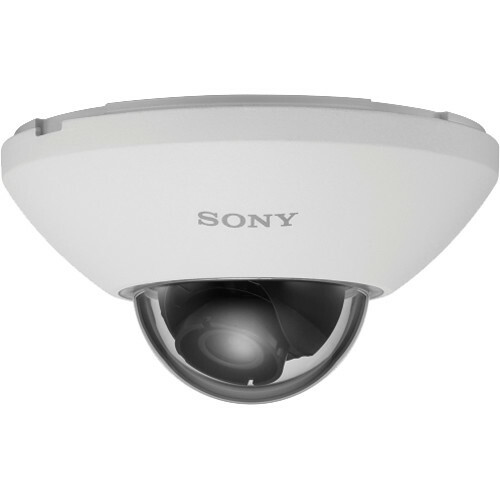 The X Series 2.1MP Network Mini Dome Camera from Sony features a 1/2.9" progressive scan Exmor CMOS sensor and 2.8mm fixed lens to capture images at a maximum resolution of 1920 x 1080. The IPELA ENGINE EX signal processing system is based on Sony's signal processing and video analytics technologies to provide features such as View-DR, XDNR, and DEPA Advanced technologies. View-DR wide dynamic range (90 dB) technology enables the camera to capture objects clearly and adaptively even under low backlit and highlight conditions. In addition, the camera complies with IK10 standards for vandal and impact resistance. Box Dimensions (LxWxH) 6.4 x 5.7 x 4.3"
Do these cameras pick up audio? No, this camera would not have a microphone.